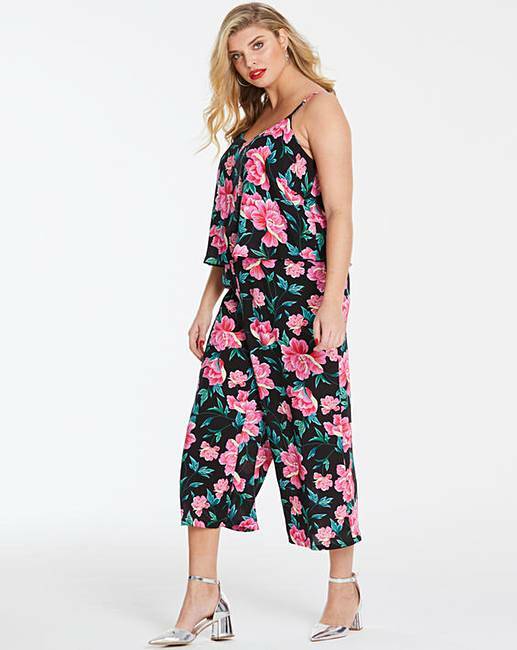 Black Floral Layered Cullotte Jumpsuit is rated 5.0 out of 5 by 3. Be on-trend this season with the striking Black Floral Print Layer Jumpsuit. The jumpsuit features a soft V-neck, thin strap detail and a flattering overlay top. 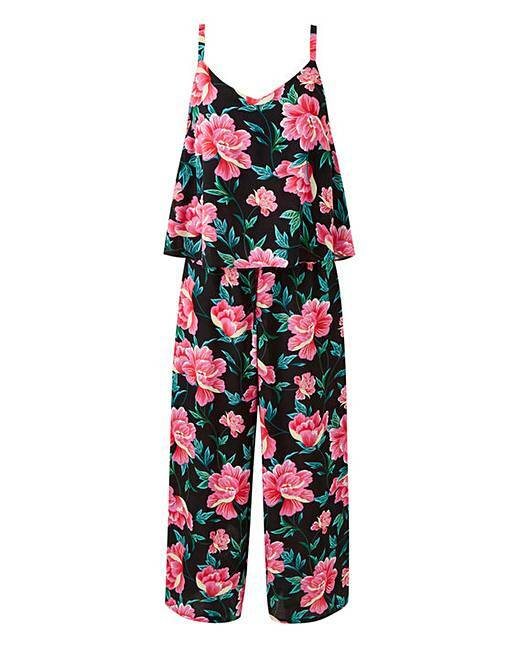 The all-over floral print accentuates the jumpsuit's on-trend culotte style and flattering wider leg. To complete the look, slip on a pair of wedges and your favourite sunglasses. Rated 5 out of 5 by Lem44 from Very summery I bought this last week to take on holiday, it is so bright nd colourful and perfect for warm summer evenings or daytime exploring.